What to make of Anchorman 2: The Legend Continues? The sequel to the popular 2004 Anchorman comedy dominated the cultural landscape months before the movie opened December 18 thanks to an inventive marketing campaign. However, after “changing the way movies are marketed” (in the words of Adweek‘s Chris Heine) through original content, viral marketing stunts, and social media, the movie underperformed at the box office during its opening weekend — only to bounce back in following weeks on its way to grossing $122.2 million domestically and $163.9 million worldwide as of January 19. So did the clever marketing make a difference? Yes and no. I believe audience word of mouth and positive reviews were the real story of the movie’s box office success after a slow start. But the marketing blitz galvanized a one-man brand who may generate financial value for Paramount Pictures beyond the movie’s ticket sales. Paramount Pictures had every reason to believe Anchorman 2 would succeed coming out of the gate. The movie reunited the principal players who had made the original Anchorman a financial success, including Will Ferrell (as both lead actor and co-writer), director (and co-writer) Adam McKay, and producer Judd Apatow, whose work has shaped and even defined comedy for the past decade. And, as Adweek documented well, the run-up to the movie’s opening weekend involved an all-encompassing marketing blitz built around the omnipresent Ron Burgundy, portrayed by Ferrell in the first Anchorman and its sequel. The infamous fictional character crashed our real lives like a drunken uncle at Thanksgiving dinner. He went cycling with Daft Punk in Amsterdam. He wrote a book. He hawked his own brand of scotch and Ben & Jerry’s ice cream flavor. He delivered a real news broadcast in Bismark, North Dakota. Real-life anchors Wolf Blitzer, Anderson Cooper, and Chris Cuomo dissed him in a mock CNN article. But the Burgundy blitz was just the tip of the iceberg. The movie’s many other marketing elements included placement of a native ad in The Huffington Post, a gag in The Onion, and strong elements of social media (including a Tumblr site that invited fans to create their own Anchorman 2 videos and GIFs). Another factor ostensibly in the movie’s favor may well have undermined its opening. That heaping plate of Ron Burgundy over the past few months (there was also that anchoring of news in North Dakota, the relentless Dodge Durango commercials, the Newseum exhibition, the underwear cross-promotion) made people feel like they had gotten their fill of the character. Film fans really wanted to see a few more hours of Ferrell and friends getting into mischief. And thanks to all these appearances, they did so weeks ago. So what happened? Mendelson speculates that Anchorman 2 benefitted from a core audience of Anchorman loyalists who would have seen the sequel without all the clever marketing. My colleague John Hensler, who runs Sunken Anchor Media and is a lifelong movie enthusiast, shared with me an interesting theory that college winter break schedules might have influenced the movie’s showing. “I think a number of fans, especially college students, waited until they were home for their holiday breaks to share the movie with their friends,” he told me recently. “Comedy is an experience best shared,” he said. The movie recovered with strong word of mouth and positive reviews. From the start, Anchorman 2 received positive reviews from critics and everyday moviegoers, with the critics liking the movie more. The movie earned a solid “fresh” 75-percent approval rating from aggregator site Rottentomatoes (akin to the ratings received by The Hobbit: The Desolation of Smaug and The Wolf of Wall Street) and generally favorable reviews on Metacritic. The positive reviews from fans and critics alike most certainly gave the movie appeal beyond its core fan base — and made the doubters give it a second chance. Word of mouth and critical reviews are especially important to comedy, which is an especially hit-and-miss genre. If your goal is to make a buck by appealing to a core following or a narrowly defined demographic, you can create a poorly received comedy and still succeed if you make the film on the cheap. But to make the kind of movie that will endure week after week, and then enjoy a second life on Blu-ray, a movie needs to be good enough to wow the influencers, both the everyday fans and the professional tastemakers. Based on its reception, Anchorman 2 is that kind of film. Whether Anchorman 2 has changed the way movies are marketed remains to be seen. An even more intriguing question is whether the content-rich approach will shape the way media/entertainment brands are made. Hollywood long ago learned a powerful lesson about the branding of a film franchise from George Lucas and the product merchandising of Star Wars. The Anchorman franchise is a multi-media machine that taps into our obsession with hoaxes, stunts, and quasi-reality entertainment. 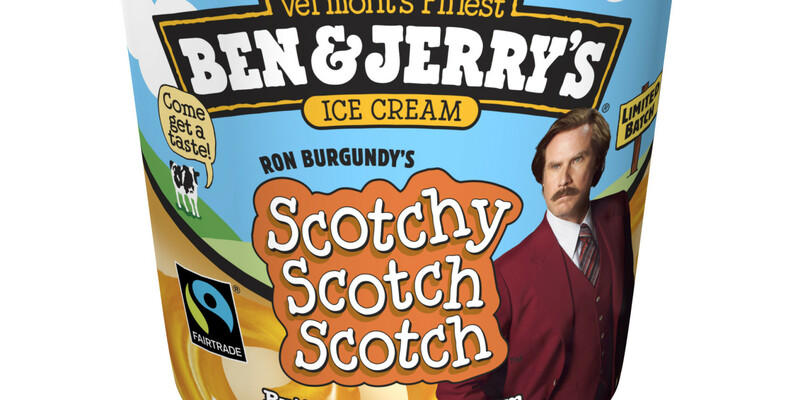 Anchorman the brand encompasses scotch, ice cream, books, and a one-person cult. Evaluating the financial worth of the Anchorman brand means more than counting box office grosses but also measuring the revenues earned from sales of the myriad products and content associated with Anchorman. Automaker Dodge certainly must be smiling: Ron Burgundy has apparently boosted sales of the 2014 Dodge Durango. 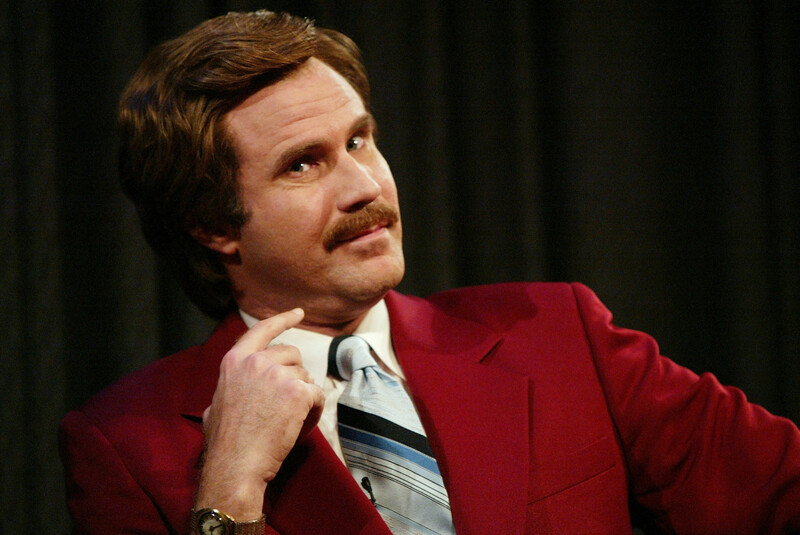 But are consumers responding to the appeal of Ron Burgundy or of Anchorman? You can be sure Paramount brass are asking that question. 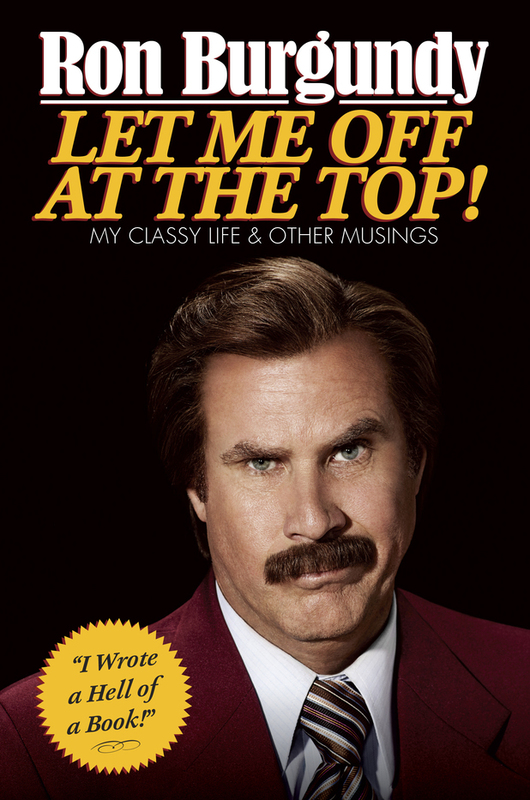 If the fictional character has eclipsed the movie, conceivably we could see more media and marketing built around Ron Burgundy (e.g., Ron Burgundy webisodes, movies, and more co-branding). Moviegoers turned around Anchorman 2 after its disappointing start. Whatever life the Anchorman brand has left now depends on the collective appetites of readers, auto shoppers, drinkers, and ice cream lovers who stay engaged with its attendant products. My bet is that there is still life left in the Ron Burgundy brand even as the movie fades from view. This entry was posted in Movies and tagged Adam McKay, Adweek, Anchorman, Anchorman 2, Anchorman 2: The Legend Continues, Ben & Jerry's, Chris Heine, Dan Lyons, David Deal, Dodge Durango, Forbes, Great Odin's Raven, Huffington Post, John Hensler, Judd Apatow, Let Me off at the Top!, Los Angeles Times, Paramount, Ron Burgundy, Scotchy Scotch Scotch, Scott Mendelson, Scott Meslow, Steve Carell, Steven Zeitchik, Sunken Anchor Media, Superhype, The Hobbit: The Desolation of Smaug, The Week, Will Ferrell. Bookmark the permalink.